What is the “web of things”? What’s the future of human interaction with objects, web-enabled artifacts, sites, networks? By mean of Paraimpu project, folks at CRS4 are trying to imagine it and make it real! 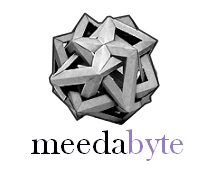 Meedabyte hosts today Antonio Pintus, CRS4 senior researcher and team leader, to explain the Paraimpu backing concepts and encourage you to giva a try to the alpha version!